This pattern is designed by Arachnid Studios. The price include the digital file cost($30), so once your make order , we will send the file cost to the designer. 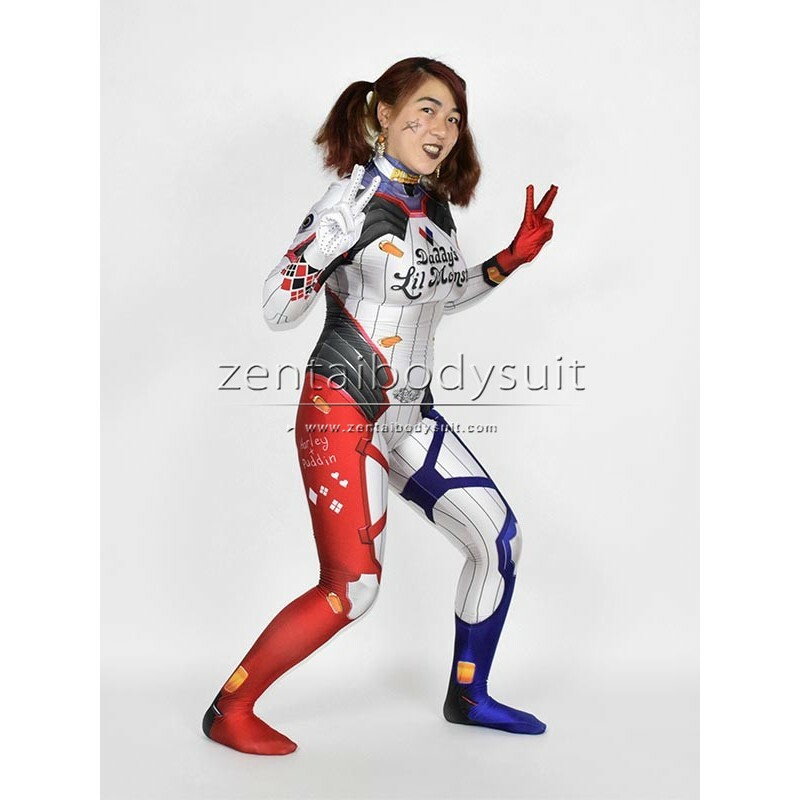 This Harley D.VA Costume is made of elastic spandex,using heat tranfer printing make it have 3d Visualized Effects, looks very cool. 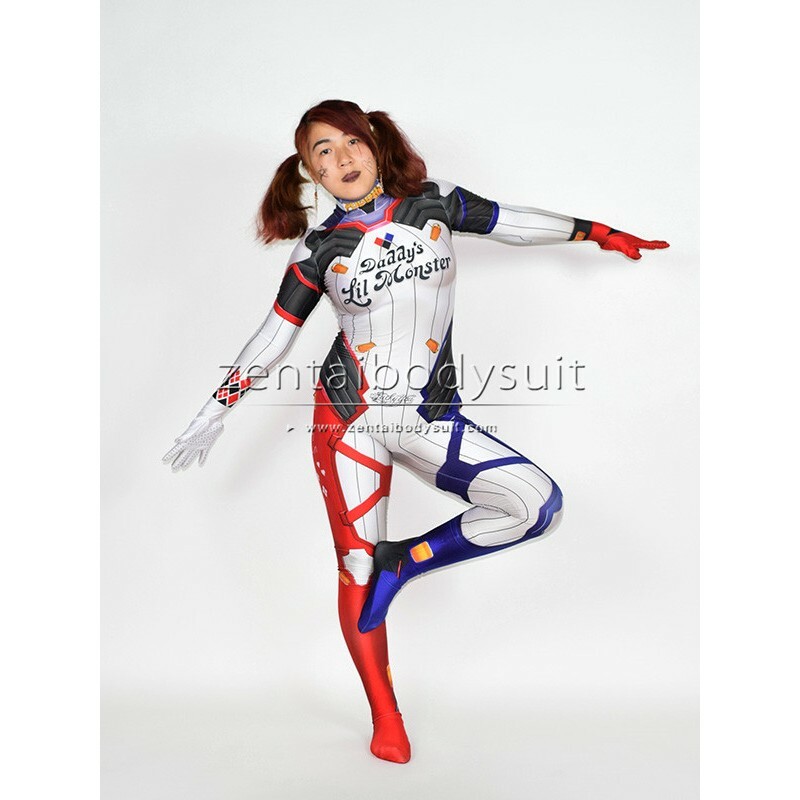 Very suitable for cosplay fans wearing it to cosplay con or any party.